Google is now getting physical in its ongoing fight with Apple for a healthy share of the smartphone market. Their latest activity is the launch of Google Fit. This cloud-based health aggregator will let users collect and store all of their health and exercise data from various fitness trackers and health-related apps in one vast virtual space. With Google Fit, the search giant has its finger on the pulse of today’s health-conscious consumers since its launch is in sync with similar health-syncing products like Apple’s HealthKit. Forbes.com reported on how Google Fit should be the perfect fit for our fitness-focused culture. While Google Fit has been under development for some time, news of the device’s debut came a heartbeat after Apple suddenly removed Google results from its Spotlight search feature on new versions of its operating systems and replaced them with results from Microsoft’s Bing and other providers. The Google vs. Apple rivalry has been raging for years, but this recent event may have sent Google racing to release Google Fit faster than expected. Regardless of the reason, it appears that health has a hold on mobile manufacturers and the giants are gearing up for war with their wearable fitness devices. Today, almost all smartphones have similar speeds and specifications, so mobile marketers need to distinguish their devices by making their software seem special. It’s no longer enough to focus on apps, now the software has to be viable and valuable to the modern mobile market. It has to create a user experience that’s both memorable and meaningful. That’s the only way today to breed devotion to a device, a bond to a brand, and buzz among friends. This has led mobile manufacturers to focus on developing software that’s in sync with users’ tastes and trends. While health has always been a hot topic, it’s taken a major role in recent years as the majority of the population passes the middle-age mark. As a result, many more people have started focusing on health and fitness by tracking their activity levels. Mobile manufacturers noticed this move toward health tracking and set out to fill that virtual void. At last, this rise in healthy living has coincided with the rise in wearables, to take activity tracking in a digital direction. But until now, fitness trackers were just healthy hardware that delivered data and just stored it in that application. Yet with Google Fit and Apple HealthKit, users have a convenient “cloud” that serves as a single space to store all of their health and fitness data from many different devices. As both Google and Apple start marketing their mobile health products, users will have to choose which activity tracking service to use since their features may be similar, but their data will stay separate. These companies know that this choice will likely influence the user’s smartphone service selection as they upgrade in the future. That’s why these activity trackers do more than simply benefit health-conscious consumers. They are also a healthy way for mobile manufacturers to capture and keep consumers so they can strengthen their share of the smartphone market. 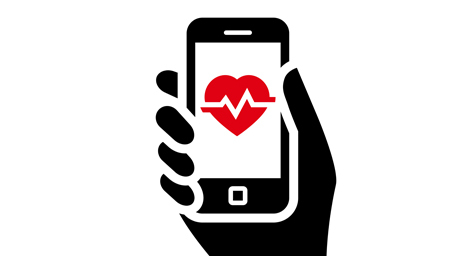 Keep up with what’s going on in mobile healthcare. Contact MDG Advertising today at 561-338-7797 or visit mdgadvertising.com. MDG Advertising, a full-service advertising agency with offices in Boca Raton and New York City, is one of Florida’s top healthcare marketing companies and branding firms, whose healthcare clients include Dental Care Alliance, MDVIP, Max Planck Florida Institute, HCA East Florida, the biostation, and MD Now. MDG’s core capabilities include branding, logo design, digital marketing, print advertising, mobile marketing, email marketing, media planning and buying, radio and TV advertising, outdoor, newspaper, video marketing, infographic development, Web design and development, content marketing, social media marketing, and SEO. To learn more about integrating a mobile strategy into your healthcare marketing plan, contact MDG Advertising today at 561-338-7797.